TORONTO – A dynamic group of five first-time Olympic competitors nominated to represent Team Canada are hungry to deliver a knockout punch when they step onto the beach for the triathlon start at the Rio 2016 Olympic Games from August 5 to 21. 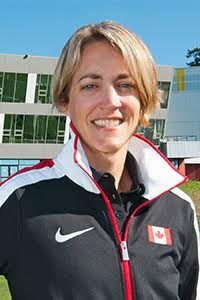 The Canadian Olympic Committee (COC) and Triathlon Canada announced on Wednesday a youthful, yet experienced team of three women and two men who will showcase a new era for triathlon in Canada when they wear the country’s red and white race suits while swimming, biking and running at Fort Copacabana. Led by Kirsten Sweetland, each of the three Canadian women have all climbed onto an elite triathlon podium. A 10-year veteran of the national team, the 27-year-old Sweetland will finally achieve her Olympic dream after three tries and a rollercoaster Olympic quadrennial. This saw her battle through a series of career-threatening injuries just months after becoming the third Canadian to ever win a medal at the Commonwealth Games when she captured silver in 2014. The milestone came just weeks after etching her name in the history books as the second Canadian to ever win a medal on the World Triathlon Series. Sweetland will be joined by 23-year-old Amelie Kretz, who broke through to finish a career-best eighth at the final Olympic qualifying race on the World Triathlon Series in Yokohama, Japan in May. Kretz is a three-time World Cup medallist and Under-23 World Championship medallist. Sarah-Anne Brault rounds out the women’s trio. Brault, 26, has five top-15 finishes on the World Triathlon Series, including a fourth-place result in Auckland, New Zealand – a course known to replicate the challenging nature of the Rio 2016 venue. Brault also has two World Cup medals on her resumé. Tyler Mislawchuk and Andrew Yorke, who both represented Canada at the TORONTO 2015 Pan American Games, will look to deliver a one-two punch in the men’s Olympic triathlon. Mislawchuk, 21, has been the most consistent Canadian triathlete in 2016 with two career-best 10th and an 11th-place finish on the World Triathlon Series. Yorke, 27, who led the Canadians with his fourth place finish at the 2014 Commonwealth Games and seventh place finish at the Pan American Games, had a career-best eighth place result at the World Triathlon Series in Edmonton. The athletes were nominated to Team Canada following a multi-phased selection period over the last two years. Canada earned three women’s and two men’s start positions based on the country’s international ranking. Brault, Kretz and Mislawchuk will compete in each of the three World Triathlon Series races leading up to the Olympic Games including: Stockholm, Sweden (July 2-3); and Hamburg, Germany (July 16-17). Yorke will enter both the Stockholm and Hamburg races. Sweetland will continue her Olympic preparation in Canada where she plans to race the World Cup in Montreal on August 7.